While wallpaper can be nice, the downside is that you can get bored of it quite quickly. However, there are other ways to bring colour and striking tones and patterns into your home. These can also be easily customized again once you get bored. Think of a wall as a chalkboard, which can be redecorated again and again. Another thing to consider, if you are renting a house, is the landlord. You can't just keeping repainting walls or applying new tiles. You'll be wasting your own money and the landlord may not approve of it. 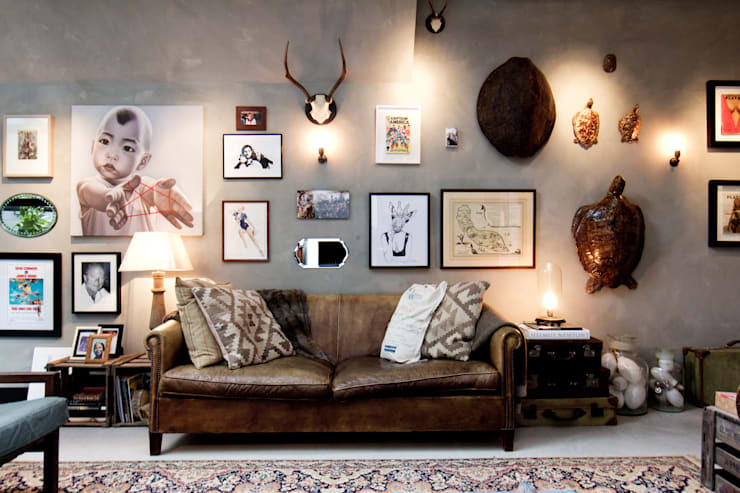 This is why today homify, we have put together six ideas for wall decor that you can customize. These solutions are not only practical but you can also have a lot of fun with them! The contents of frames are easy to customize. Choose a nice base and adjust the image depending on your mood. Photos can easily be swapped out once you get bored. You can also create a large photo collage on your wall like design professionals BRICKS Studio have done here. If you can't drill into the wall, attach frames with double-sided tape. Or perhaps your landlord will allow you to suspend wire from the ceiling, which you can hook your paintings onto. Do you have dull walls that are all in one colour? Why not liven it up with a wall sticker? Wall stickers are available in all shapes, colours and sizes and are the modern alternatives to wallpaper. Choose an image, a quote that inspires you or even a pattern you like for a refreshing look and feel. All you need to do is simply paste the wall sticker on the wall and once you are bored, remove it or replace it with a new one. With minimum effort you can achieve the most breathtaking home! 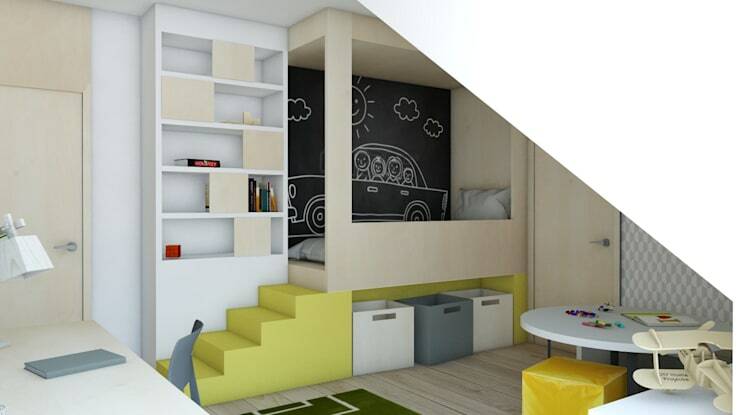 For children's rooms, wall stickers are ideal. 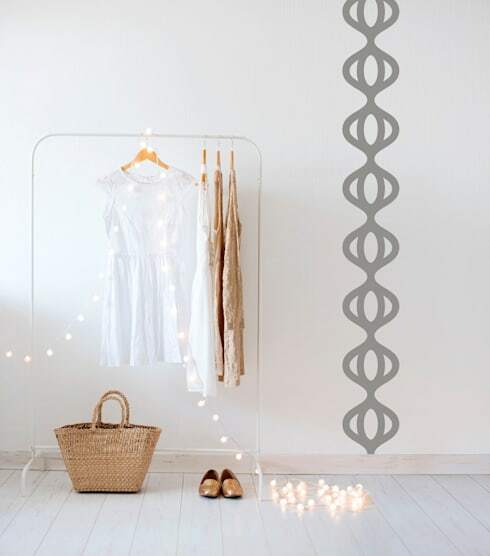 Create a solid base with neutral tones and then use wall stickers to liven it up. As we all know, growing children rapidly change their interests and tastes. Cars are in one month and out the next, but wall stickers allow you to easily change the style of the room! Plants and flowers can give a beautiful atmosphere to any home. You can also adapt these to your needs. 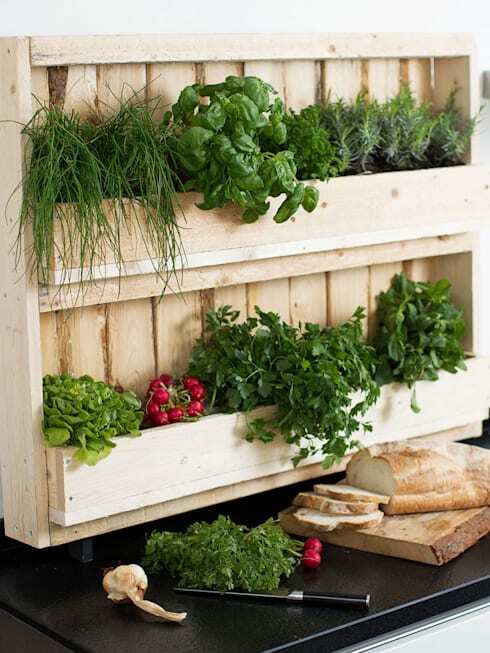 One example is to include a herb garden in the kitchen so that you can cook with fresh ingredients! There are ready-made options but a vertical garden can also be very easily constructed yourself, just by hanging a pallet on the wall. If you aren't allowed to drill, simply rest the vertical garden on the floor. An item that can really create character and charm in a home is a chalkboard. It can also be easily customized! Take a loose chalkboard or paint the whole wall a chalkboard black colour. After that you simply need to buy some chalk and start writing or drawing! Use it as a to-do list, for shopping or for art. The whole family can get involved! This is also a great opportunity for kids to have some fun by drawing on the walls. You can simply erase it when they are done. If you don't have the money, the permission or the time to re-tile the walls, you can spice them up by adding wall stickers to them. As we can see in this design, they can create a whole new look and feel! There are also so many options that exist! You can go for a classic design or for a form of decor that is slightly more decorative. Many rental houses feature tiles because it is the cheapest. 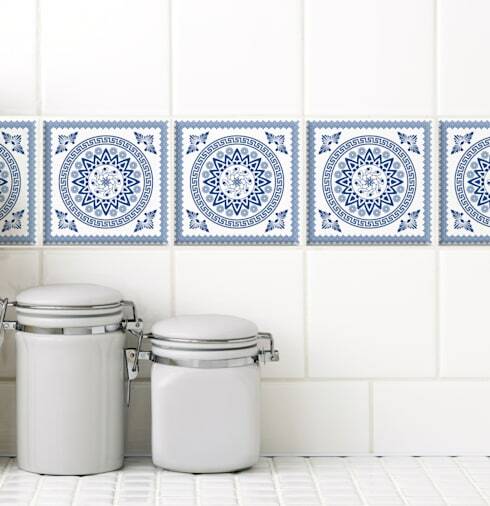 So while the tiles in your home may not be your first choice, you can always personalize them. Finally we come across an idea to decorate your walls with washi tape. Washi tape, also known as masking tape, can be removed very easily so it doesn't damage the walls. If you Google washi tape, you will come across millions of DIY ideas. It can be used for just about everything from decorating books to wrapping gifts. Have a look at this article for inspiration: Inside the trend: fast and simple, the washi tape will blow up your home! 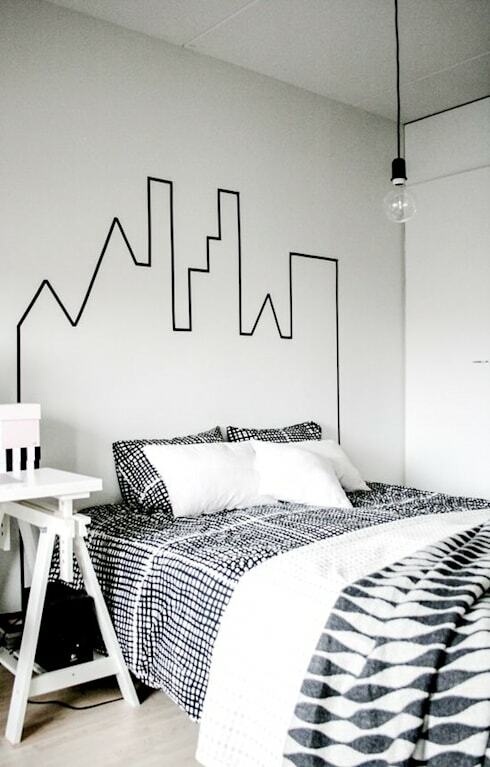 In this image, we can see how washi tape has been used to create a beautiful silhouette of the skyline. If you've found these ideas inspiring, you may also enjoy these 14 super wall design ideas. Which ideas would you implement in your home?